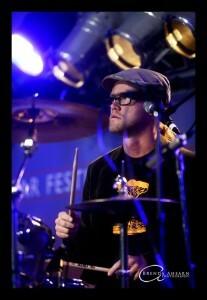 The Yogi of Sound in Montana!!! 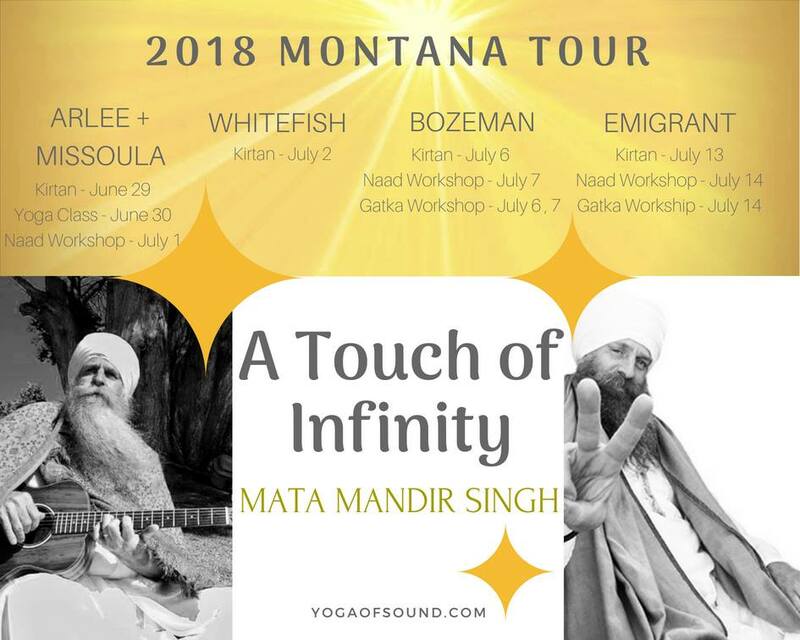 I have the special Honor of joining a true Yogi on a Montana tour this next week! 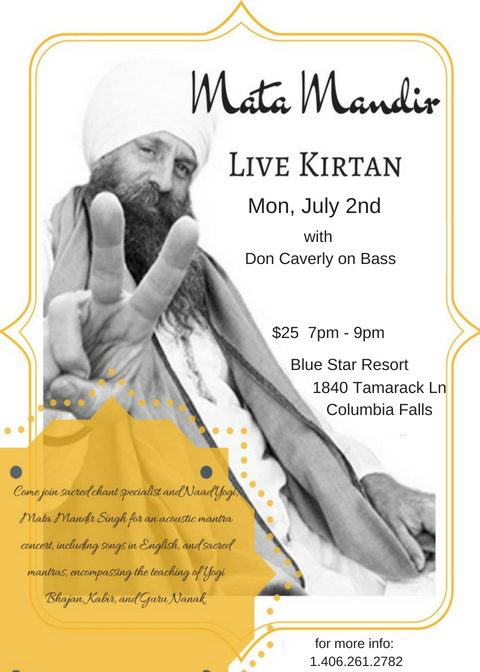 Mata Mandir Singh Khalsa is an international teacher of Naad Yoga and Kundalini Yoga, a talented musician, and pioneer of the chant/mantra genre, having recorded over 28 CD and cassette titles spanning from the 1970’s to present day. Mata Mandir is now a featured artist on Invincible Records label, with many new CD albums in progress. 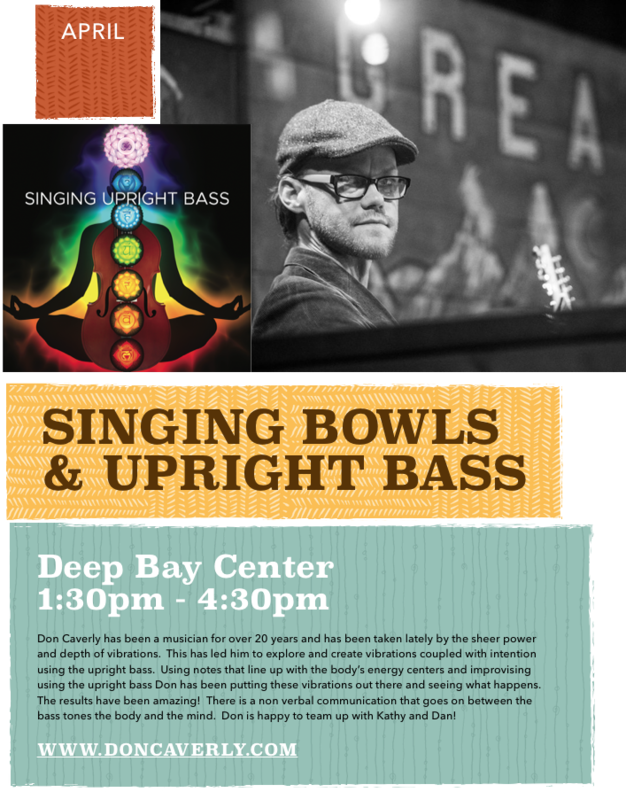 He is also author of the forthcoming book, Naad Yoga: The Yoga of Sound Workbook. Read special excerpts from the book in our Book Blog featured on this website. Mata Mandir continues to teach and play music mantra concerts around North America, Canada, Mexico, Europe and China. 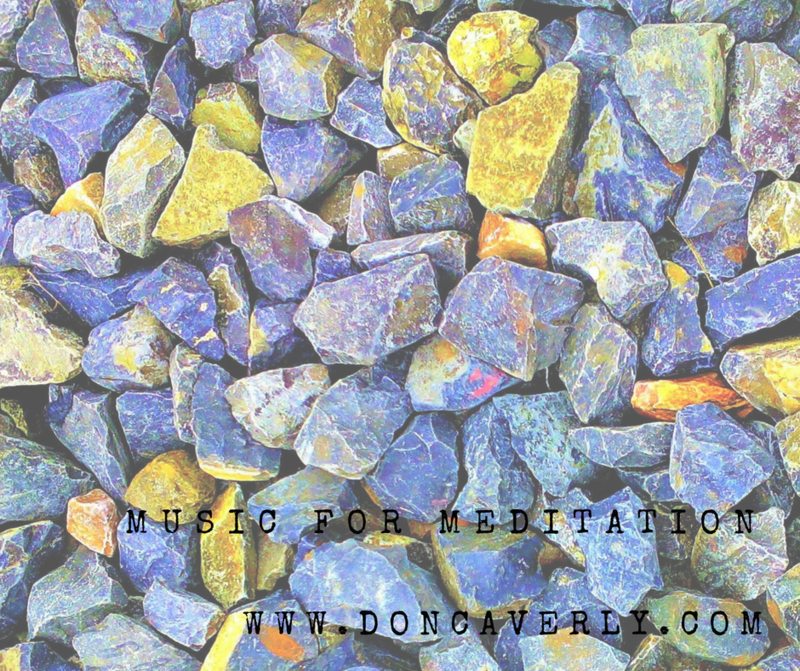 Meditation has become one of my newest passions and to honor this passion as well as share the gift of music with people in order to raise their awareness and vibration I have created a series of musical works designed for meditation. There are pieces featuring many different instruments as well as many different moods to appeal to different tastes. I will release a new piece each week. they can be used for relaxation, meditation, yoga, movement or just to enjoy! Finding inspiration in every situation is something I have been striving to do in my life lately. I just spent a wonderful week in Doe Bay at the Music Arts and Ideas festival while on tour with the Viscosity Cabaret led by the amazing Rebecca Schaffer. Doe Bay is a magically beautiful place with many amazing people who gather for this and other festivals. I was expecting it to be a typical music festival with a few presentations of other varieties and I couldn’t have been happier to be wrong about what I found. I attended workshops in intentional partner dancing, dancing as medicine, nature skills as well as performed in a theatre group and listened to some amazing music but probably the most impactful thing I attended was a presentation giving my Jim Olsen MD, PhD called Deadly Cures. Dr. Olsen spoke about how he and his research team at Fred Hutch in Seattle are using nature to teach them about how to heal the body and are focusing on the rarest forms of cancer we know about today. Types of cancer that is so rare there can be no surgery done and drug companies cannot typically afford to develop cures for such a small amount of people. One of his major breakthroughs was discovering a tumor paint that is made from scorpion venom that lights up cancer cells so that when the surge goes into remove the cancer he/she can clearly tell the difference between cancer cells and healthy tissue and can detect minute occurrences that would cause the cancer to come back again and again. Tumor paint is just one of the tools they are developing in their lab as well as studying potatoes to see what protects them from getting eaten by insects and using those substances to keep starches intact while administering needed medicine into patients. The most profound thing that hit me was when he spoke of one of his patients named Violet. Violet was an amazing little girl with one of the rarest forms of cancer located deep in her brain stem so there was no possibility for surgery to help her and no research had been done on this time because researchers have been unable to obtain tissue to study and make cures available. Violet was a very special little girl and loved to be outside and loved to make everyone laugh in order to lighten the mood of any heavy situation and as you can imagine she had some very very heavy emotional situations due to her condition. She agreed after learning why the cancer was untreatable to donate her brain stem to Dr Olsen’s team in order for them to study it and make sure that kids like her have a chance in the future. This made me tear up like I had not in a very long time and every time I tell the story of Violet to people after the fact it hasn’t lessened the effect, in fact the tears come sooner now even before the story is over. The name of the research project surrounding this rare form of cancer is called project Violet and they have raised a lot of money in her name for the research. They do however need more and what better place to donate money than to someone who is following his Dharma using nature to learn how to cure human diseases and connect researchers with jobs in order to make this all happen. The Time Trippers made their way down to the Top Hat in Missoula for an amazing show featuring Dan Debuque opening the night. 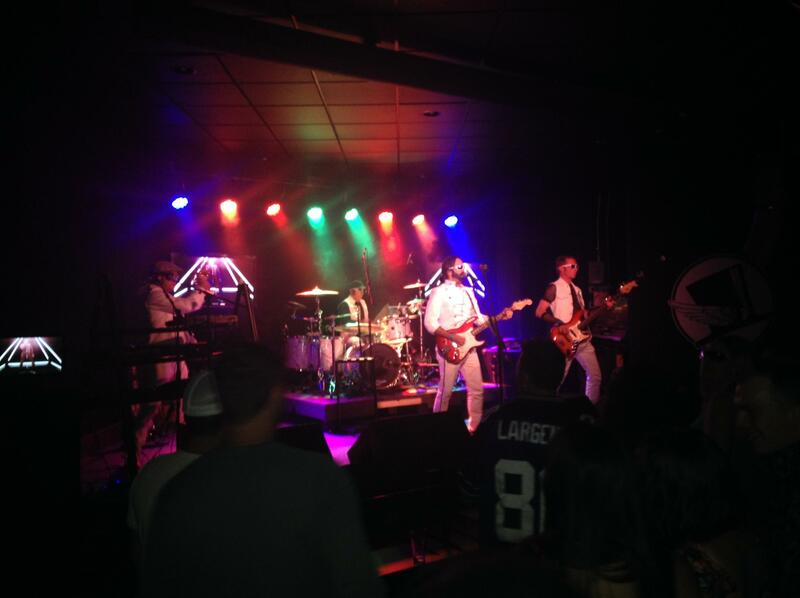 Thank you to the Top Hat crew for treating us like kings and making us sound and look good on stage! We WILL be back! Opening for Dweezil Zappa at the Crown of the Continent! I had the pleasure of Joining an all star cast of Montana characters at the Crown of the Continent Guitar Festival and Workshop! Rob Quist, David Griffith, Craig Davey and Halladay Quist made up the band that opened for Dweezil Zappa. What an amazing experience it was this year meeting the entire Zappa plays Zappa band and seeing all of my friends at the Crown. Looking forward to next year! I was lucky enough to take part in a comedy written by the wonderfully talented Nick Spear. Thanks to all who came and made my first acting role an amazing experience! We’re moving through April with lightning speed. This month has been busy with gigs and recording. I had a great time playing at the Casablanca-themed Chef’s Table event at FVCC, and am really excited to jam with John Zoltek and Ron Reeves for Jazz with the Maestro, an event hosted by the Glacier Symphony and Chorale that will take place at the Alpine Ballroom in Kalispell. Want to buy tickets? You can here. The recording project of the past few weeks has involved local artist Oshinn, who needed some songs for an upcoming radio interview. It really gave me a chance to flex my producer muscles and learn the ins and outs of editing. 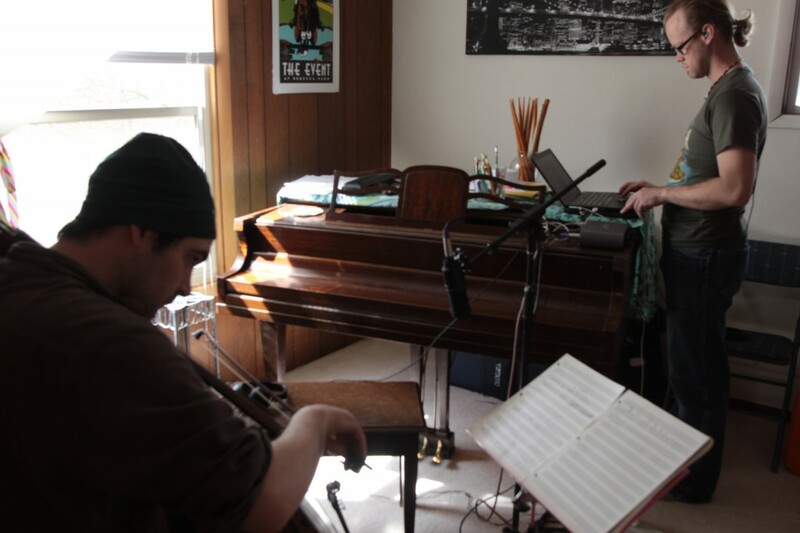 I was also able to experiment with recording in different spaces and with different accoutrements. The next step is recording an entire album, and with what we’ve learned with these initial two songs, I think the final product will be impressive. We’re heading into summer. Make sure to keep checking my calendar for gig updates. I’ve added a form to my contact page, and if you want to find me on Facebook, you can like my page at http://www.facebook.com/doncaverlymusic. Hello, friends and fans. I’ve been involved in so many recording projects lately that it’s really got me appreciating the abundance of resources that are available in what many would consider a very small place. Who would think that so much talent lies in this small northwestern Montana valley? I’m no stranger to Snoring Hound Studio, but recently had the pleasure of working with their new engineer, Jeff Wagoner, whose ears can’t be beat when it comes to recording. I was lucky enough to produce five tracks with God Fearing Women and Erica von Kleist, who did the horn arrangements. I’m updating my music page to include some of the work I’ve done with them- check it out! I’ve also had a blast working with Nick Speer and Marco Forcone at Renegade Ridge Studios. The place is like home and the session afforded me the opportunity to play both upright and electric bass on Nick’s album, which contains some of the best music I’ve ever heard him write. 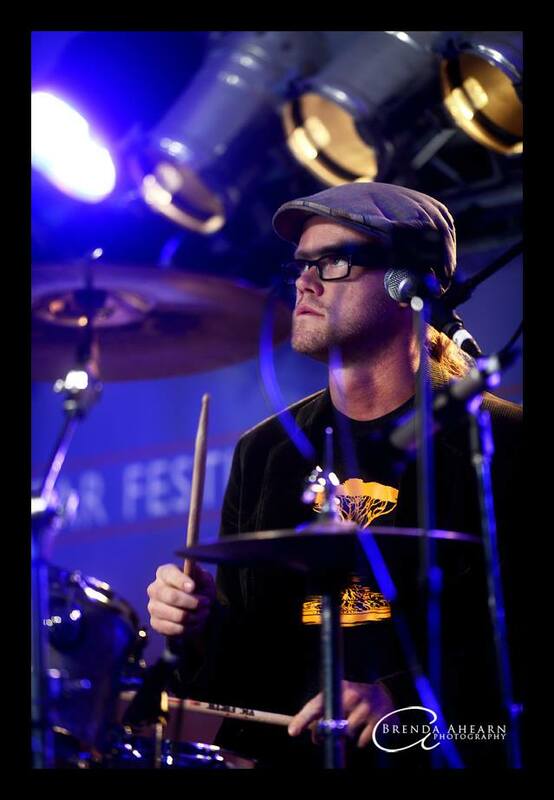 If you’re not familiar with Nick, look closely next time you come to see the New Wave Time Trippers. I think you’ll find the singer bears a strong resemblance. Last Wednesday, I got to record for the first time at Snow Ghost Studios with Erica von Kleist on her new album that also features Gerald Clayton, Richie Barshay and Rebecca Nelson. I couldn’t to be with a better group of people, and the piece we were collaborating on was a gift and a challenge. “El Choclo” is a tango that really pushes me on the upright bass, to both play it deftly and use it as a percussion instrument. The engineer at the studio is Brett Allen, and I’m a huge fan of his work. Marco was on hand to record the session on video. All in all, it’s been an excellent few months. Current projects include my work with EVK and God Fearing Women, as well as playing and recording with Oshinn on her first album. Make sure you follow the blog for more information and stay tuned for all the awesome that’s coming up. 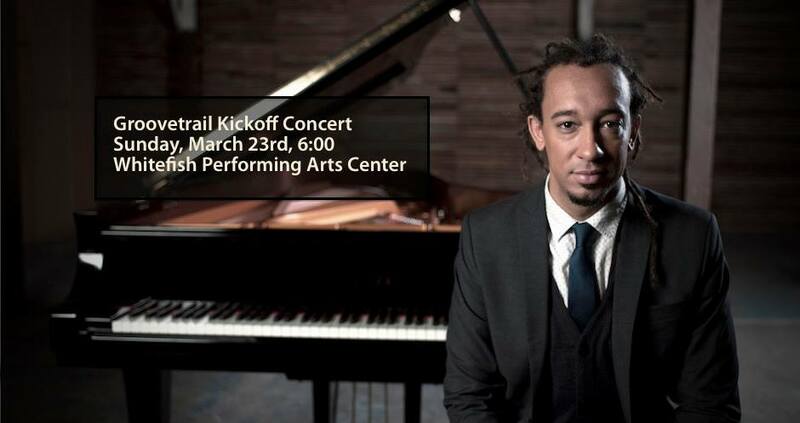 I spent an amazing weekend with jazz pianist Gerald Clayton preparing for and performing in the Groovetrail Kickoff Concert at the Whitefish Performing Arts Center. Groovetrail is the brainchild of noted musician Erica von Kleist, a nonprofit organization dedicated to putting music in the hands of the people that need it: students who can’t afford lessons, shelters and assisted living facilities, schools that need instruments. Its focus is connecting the talented musicians of the Flathead Valley with opportunities to serve their community. 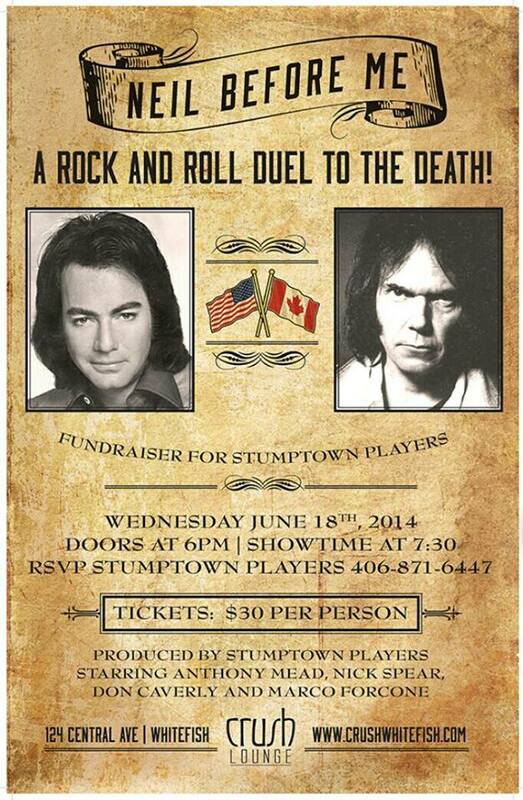 I was lucky enough to help produce the concert as well as being on the bill with Donny & Kleist. The next day was filled with the sounds of Gerald and Erica recording some astounding pieces of music including my personal favorite “Deke” by Darcy James Argue. Aside from being a stellar musician, Gerald is also an all-around good guy, and was very inspiring both to me and the kids in attendance at the show. For more information on Groovetrail, visit the website at http://groovetrail.org/ or follow them on Facebook at https://www.facebook.com/Groovetrail.